Shark Week starts on Sunday and, being a shark lover (though still scared of them), I decided to make a cute little pin. Now I can strut around town showing the world that I think sharks are awesome! Pattern is below or you can purchase the PDF version in my shop. -Worsted yarn in grey – I’m using Red Heart Soft Touch in Shade. Ch 12, sl st in 2nd ch from hook, sc in next 2 ch, hdc in next ch, dc in next 3 ch, hdc in next ch, sc in next 2 ch, sl st in last ch. Do not turn. Sc in next 2 sc sts, hdc in next st, dc in next 3 sts, hdc in next st, sc in next 2 sts, sl st in last st. Do not fasten off. Ch 4, sl st in 2nd ch from hook, sc in next 2 ch, sl st in middle space, ch 4, turn, sl st in 2nd ch from hook, sc in next 2 ch, sl st in middle space. Fasten off. Pull up a loop in the 3rd dc st (as pictured) and make ch 1, dc in next dc, ch 2, sl st in next dc. Fasten off and weave ends. Ch 4, dc in 3rd ch from hook, ch 3, sl st in last ch. Fasten off and sew to body. 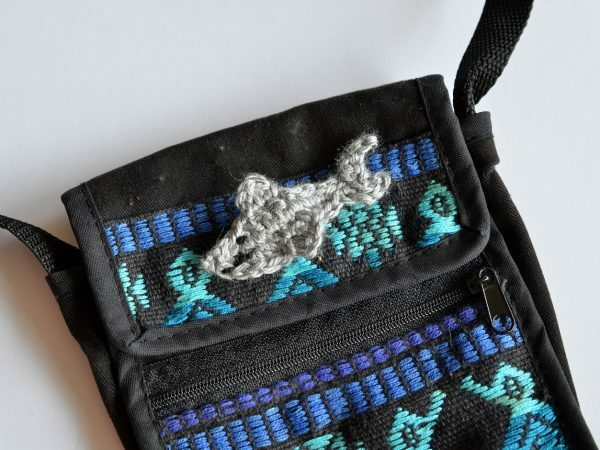 Stitch an eye and a smile with black embroidery thread. Sew the pin to the back and you’re done! 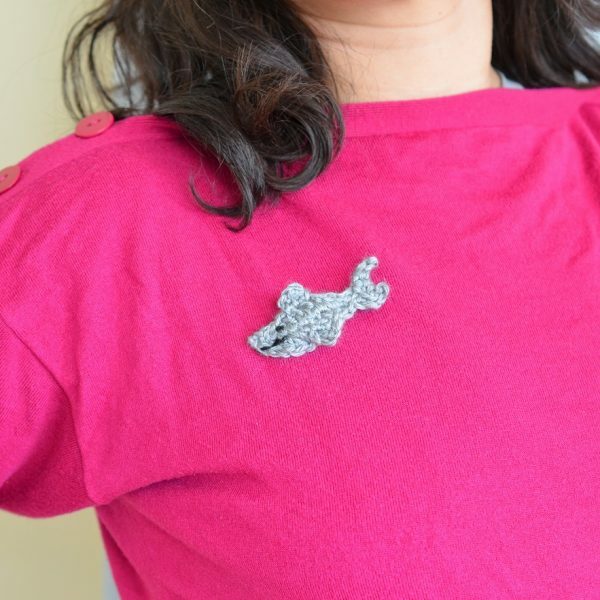 Now attach to your favourite accessory or top and show everyone your love for sharks! Thank you so much! The beach at night is so pretty except I’m always afraid of stepping on crabs in the sand haha. Thank you as much for this project Sharks are the mascot of the school my nephew coaches at the school we grew up at beings Sharks… Most the hats will have them on them and I’m sure lots of other things . Hope you have a Merry Christmas a great New Year…Thank You again.